Julia L. Vyskocil | Attorneys | Brick Gentry, P.C. I am fortunate to be able to work with those in the agricultural industry on a daily basis and draw from my experience growing up on a farm and my continued ties to the agricultural community to provide practical advice and solutions for the farm clients we serve. Julie Vyskocil was born and raised on a dairy and cash crop farm in Michigan where her family continues to farm today. She attended law school at Drake University where she earned her Food and Agricultural Law Certificate. 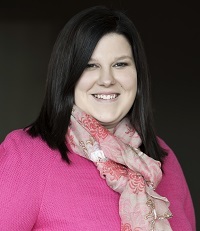 Since graduation from Drake Law School in 2008, she has focused her practice primarily on agricultural law and estate planning for farmers and those involved in the agricultural industry. Attorney – Beving, Swanson & Forrest, P.C. 2008-2015. Center for Ag Law and Tax Seminar on Sep. 8: Livestock Update: Ag Nuisance Suits and Manure Easements; Current Issues in Enforcing Agricultural Liens and Farm Leases. Michigan State University, B.S., Agriculture and Natural Resources Communications, 2004. Drake University Law School, J.D., 2008, with Honors.